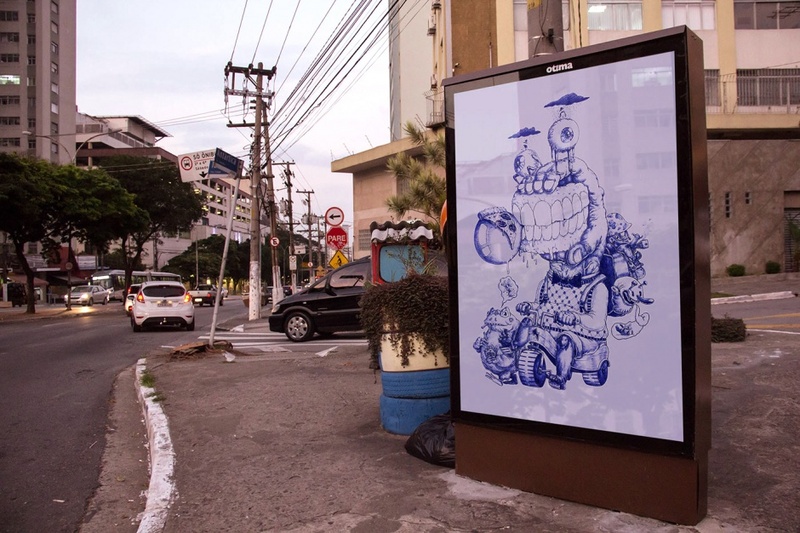 Series of posters for project One Bic Poster for Bic. 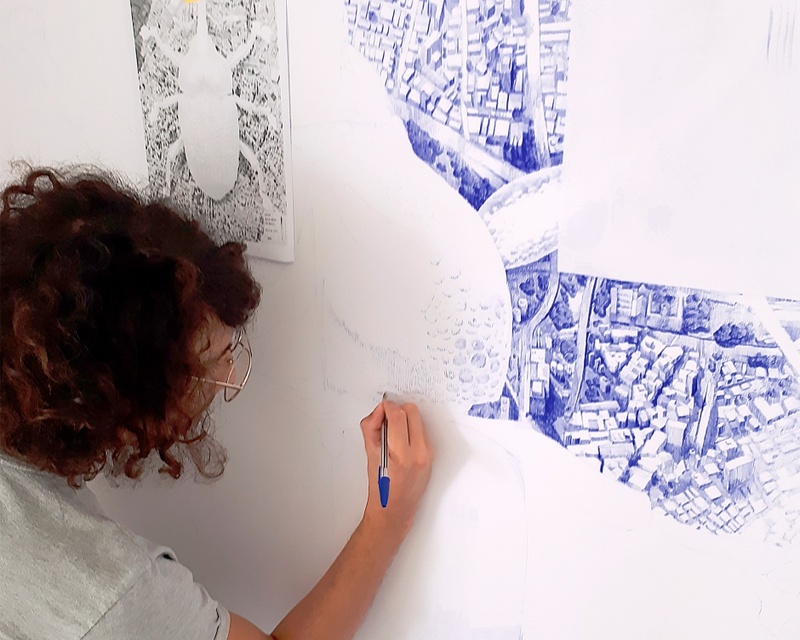 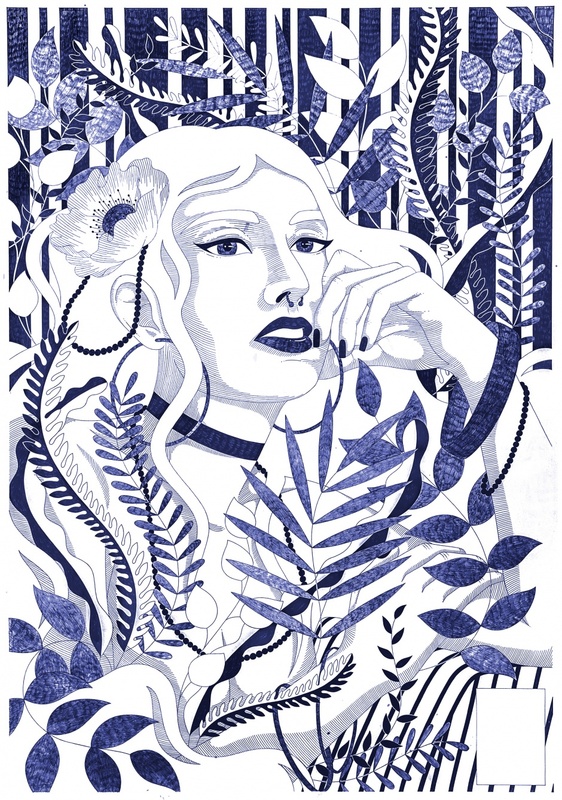 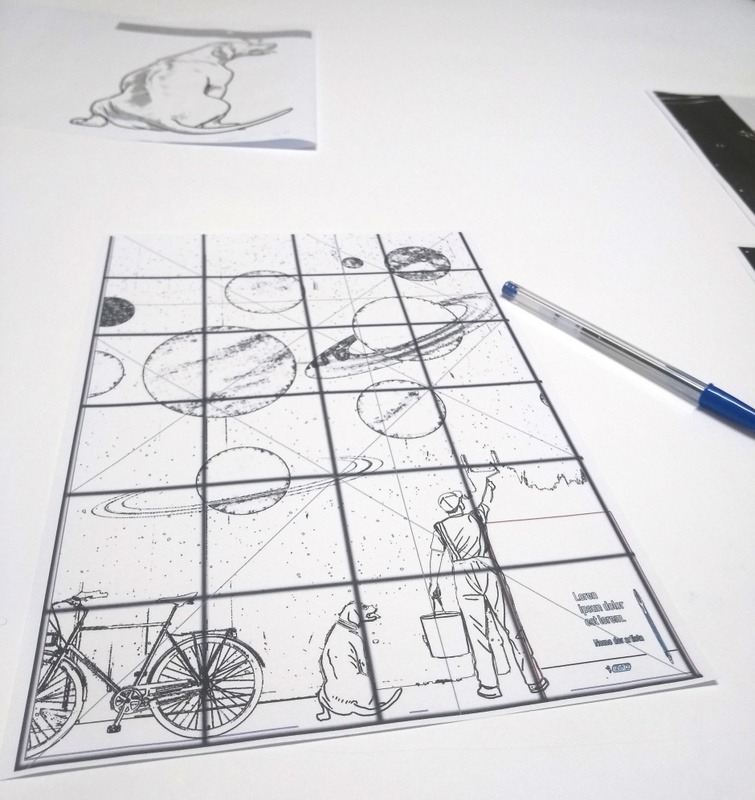 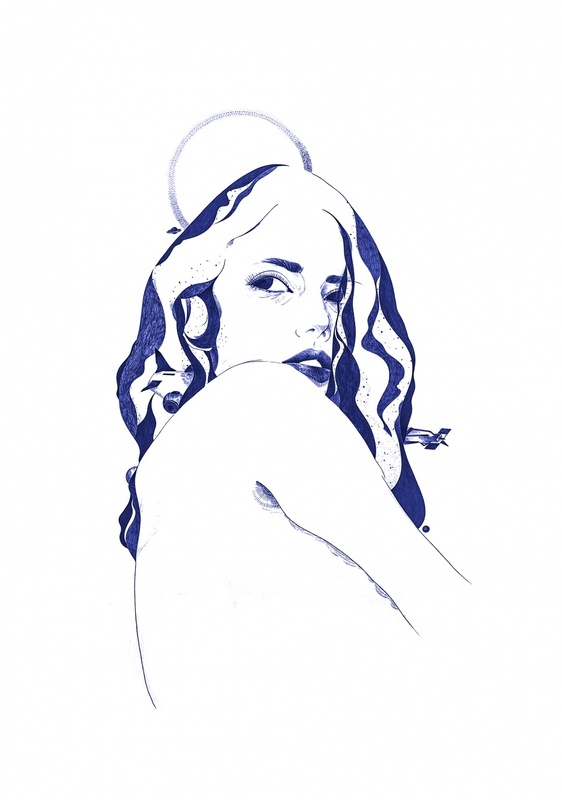 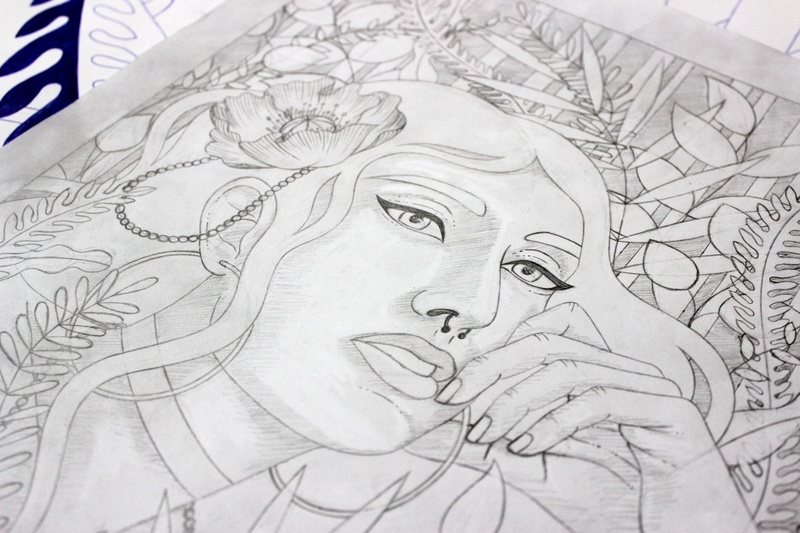 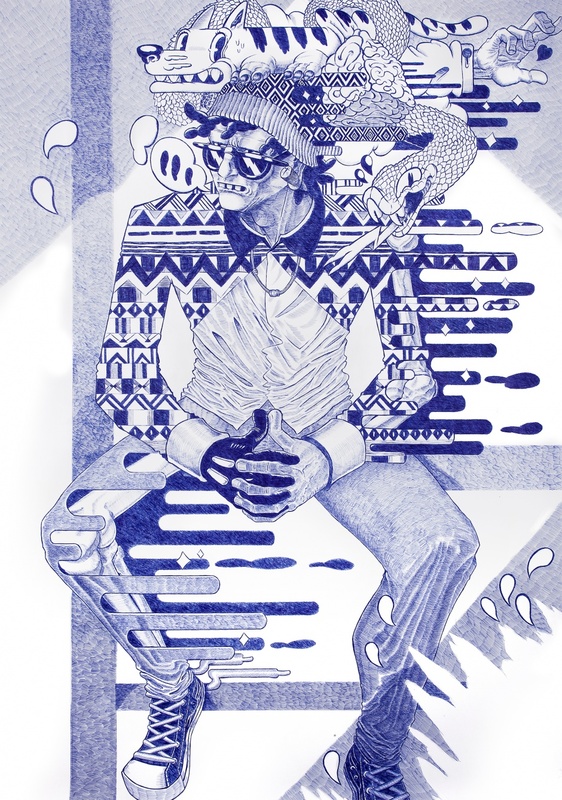 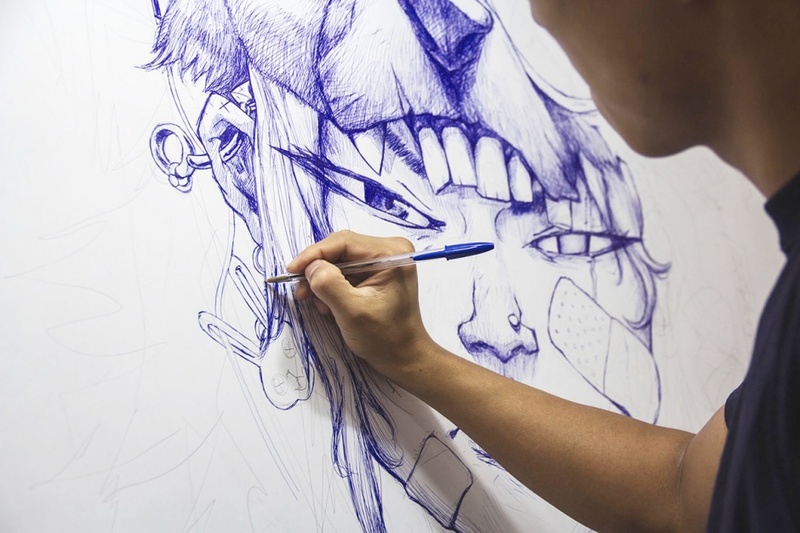 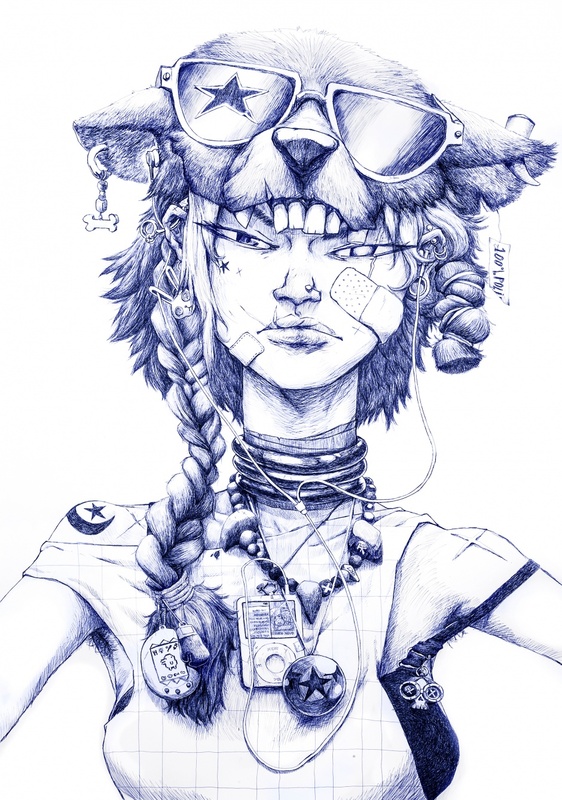 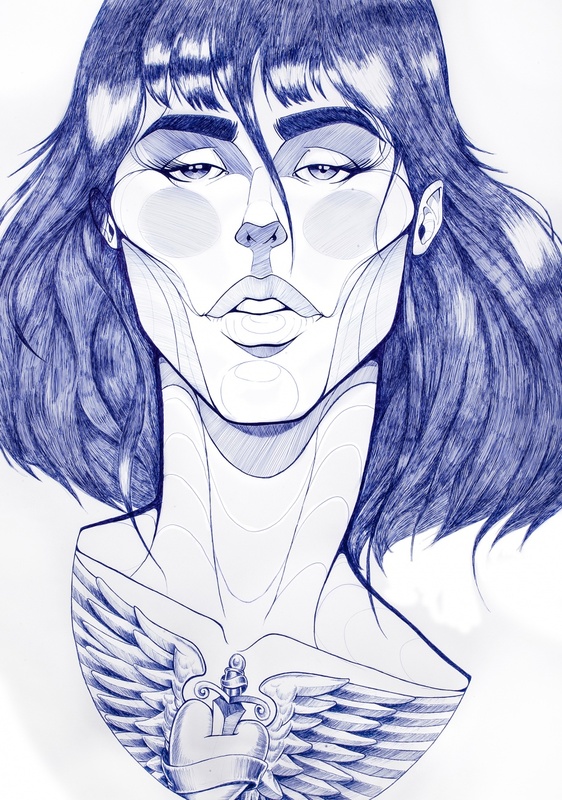 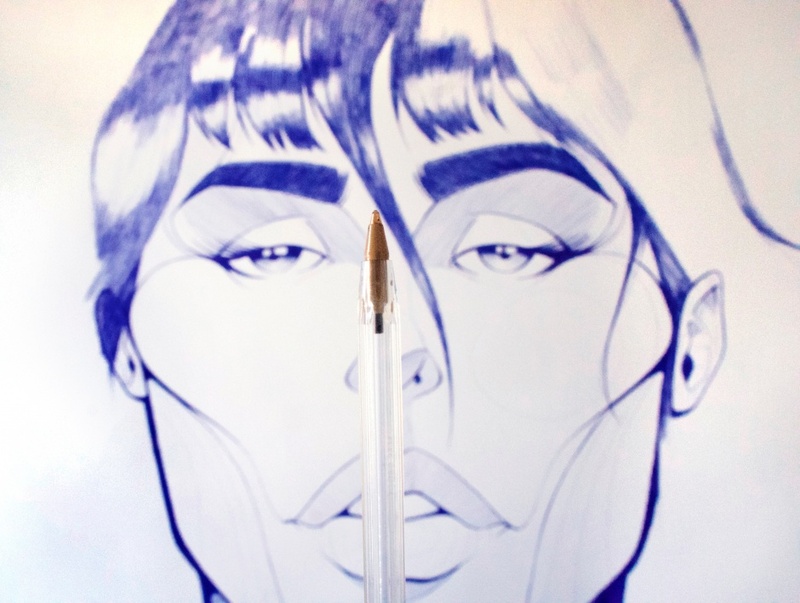 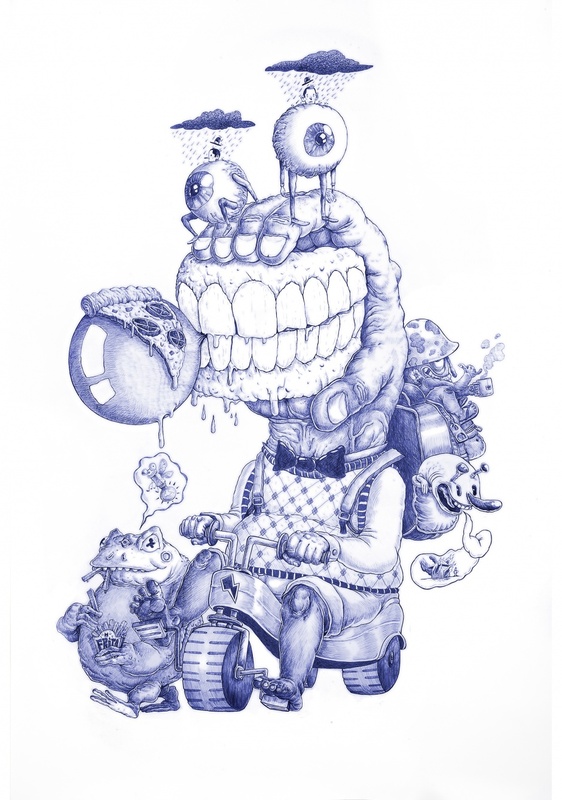 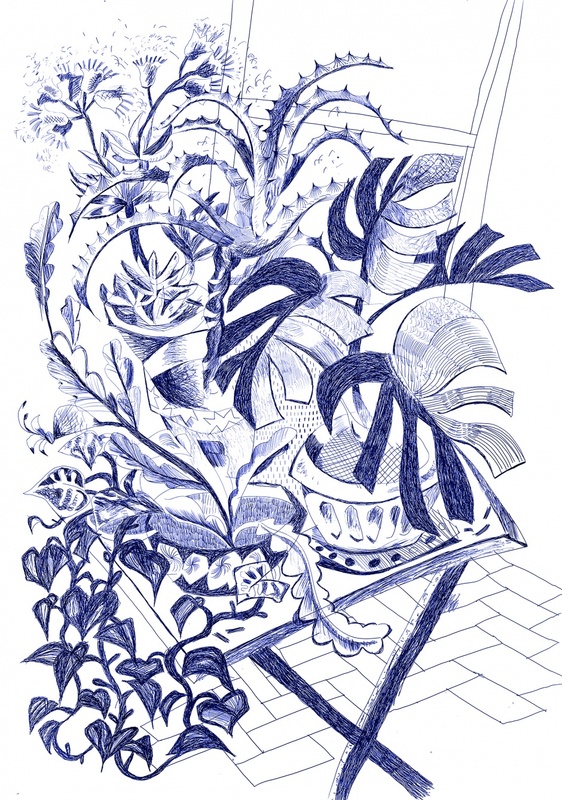 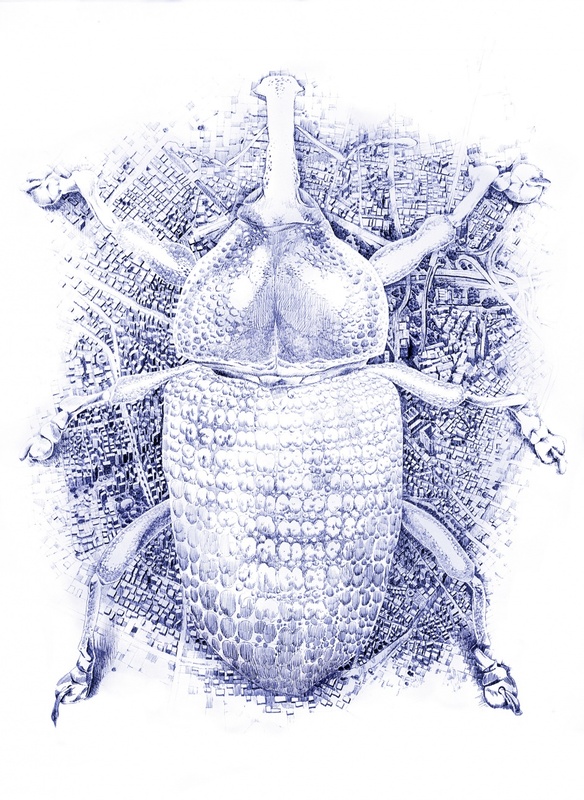 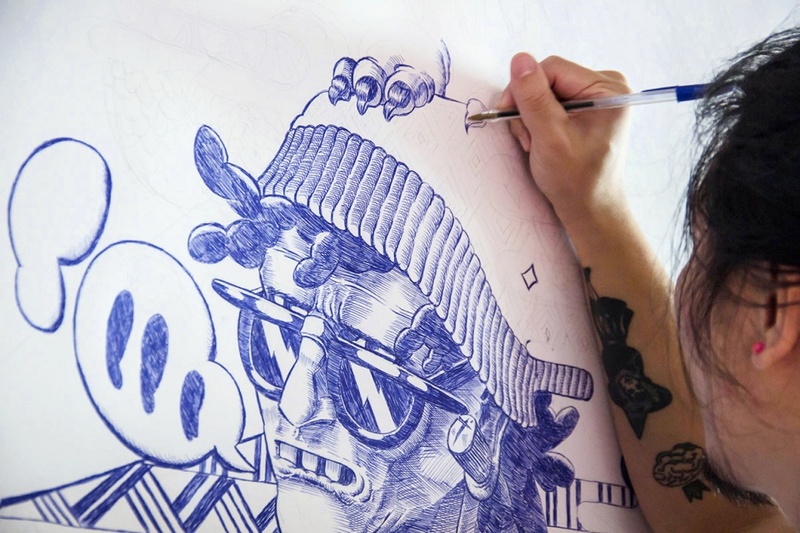 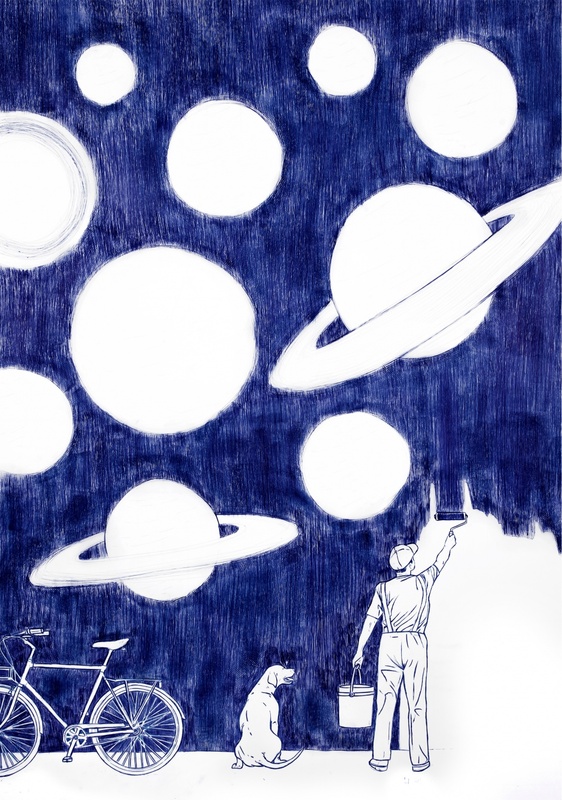 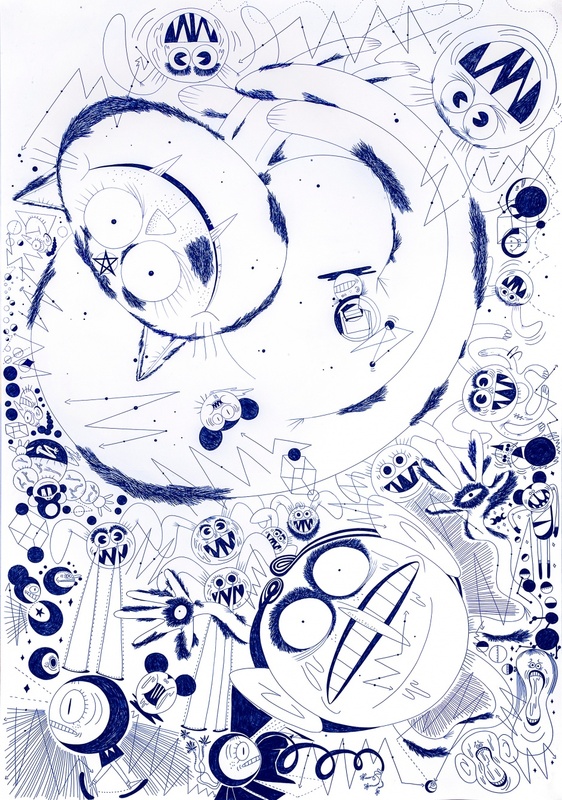 The illustrations were made on 1,20 x 1,75 paper sheets, using only one blue ballpoint pen. 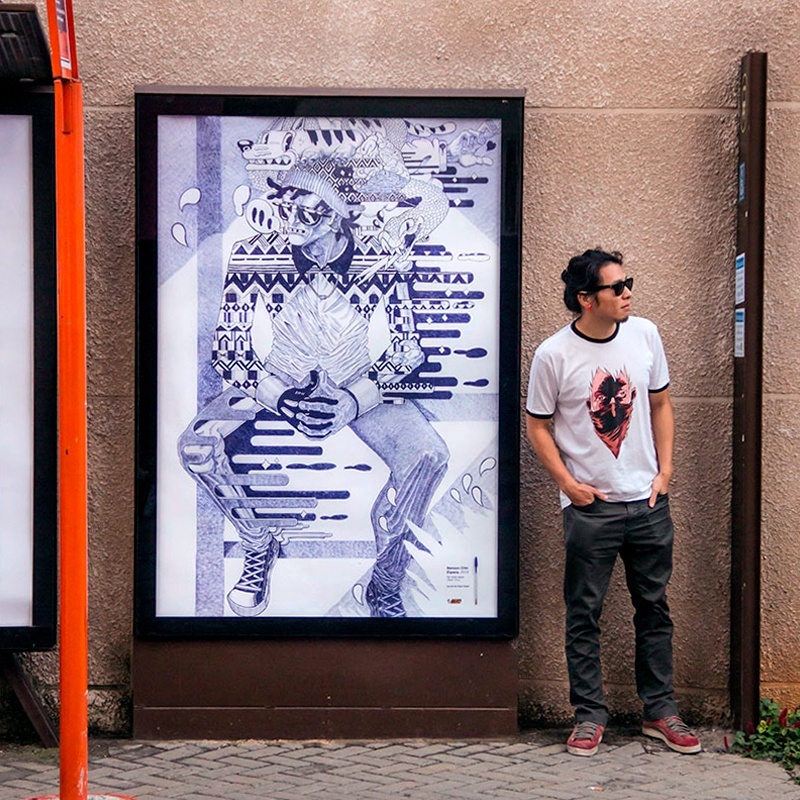 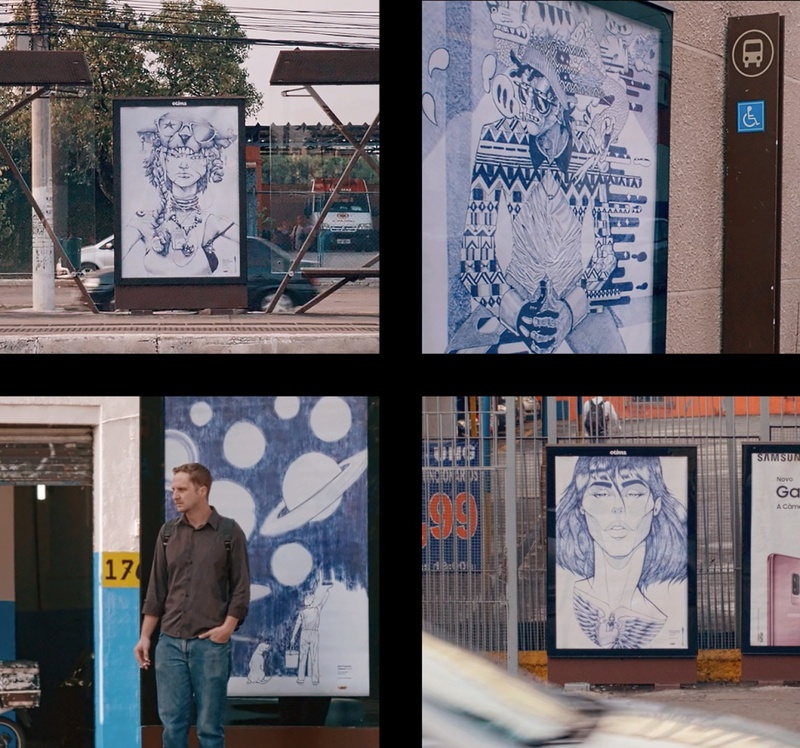 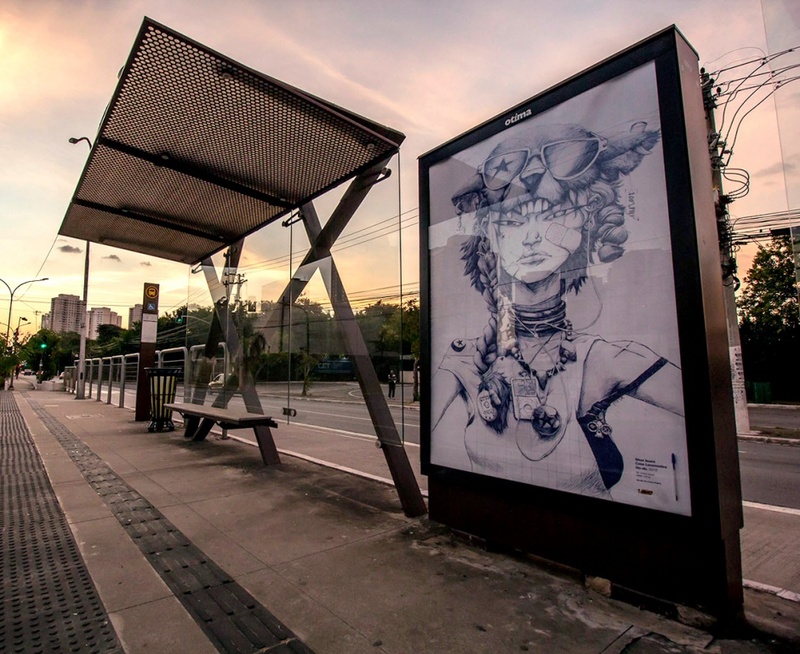 The posters were displayed on bus stops across Sao Paulo city. 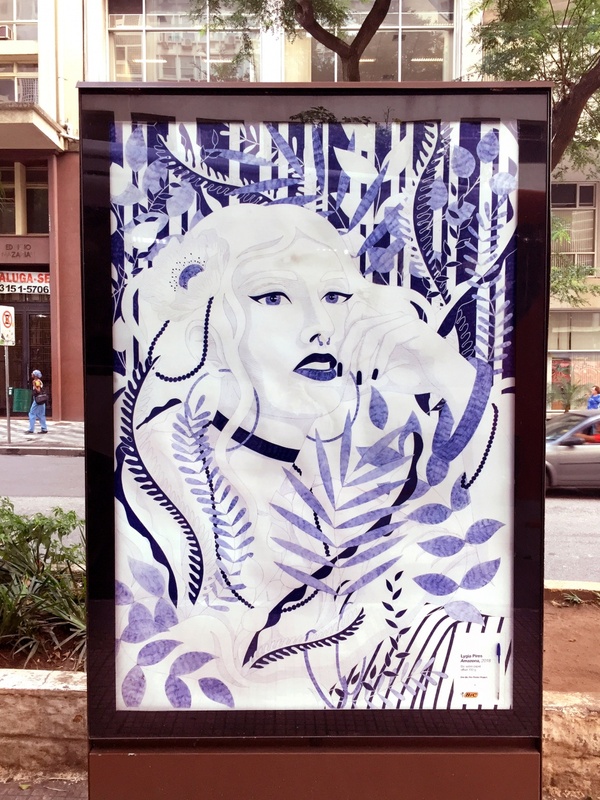 Three of the illustrations were selected in the Industry Craft category shortlist at Cannes Lions 2018.